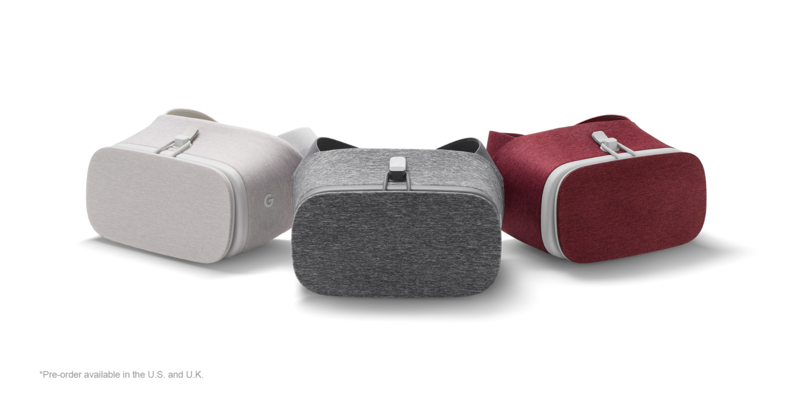 The Daydream View headset launched several weeks ago with just a single option—the "Slate" color. I like to call it gray. Now the more stylish Crimson and Snow colors (right and left above) are available for pre-order. They cost the same $79 and will ship on December 8th. As with the Slate headset, you get the VR viewer itself along with a motion controller. The headsets are identical other than the colors, which admittedly are very nice. The Crimson headset has a black interior and white accents. Meanwhile, the Snow headset (it's like a very light gray) has a tan interior and white accents. If you've been holding off to get one of the other colors, now's your chance. Just make sure you've got a compatible phone. The design of Daydream View is universal, but only a few phones support it. The Pixels obviously work, but so does the Moto Z after the recent Nougat update.